Shamy Naidu, Executive: Transit Ads™ outlines the importance of implementing 360° advertising campaigns within the highly effective, high frequency and captive transit environment. As in any other advertising environment, the need for a 360° campaign in the transit environment is vital to ensure maximise ROI and to keep brand and product top of mind. Transit Ads™ provides this opportunity to clients as its comprehensive range of offerings ensures that every touchpoint along a commuter journey is maximised to provide excellent advertising exposure. Over 12-million commuters use taxis on a weekly basis, while train and bus commuters combined make up 4-million commuters on a weekly basis. Around 80% of this audience is the main purchaser in their household. This audience fits cleanly within the economically active LSM profile of 4 to 7, making them one of the most sought-after market of potential buyers and product purchase decision-makers. And we can tap into this audience when they are most open to brand messaging. Research from Nielsen shows that 86% of people agree that Out of Home advertising (OOH) makes brands stand out. As the population grows, Out of Home becomes more powerful and more relevant. While other mediums are fragmenting and fighting for the consumer’s attention, OOH continues to gain audiences, especially within the transit environment. The UK’s Outsmart’s shows that OOH is the advertising medium most seen by shoppers in ‘the last window of influence’ before shopping. 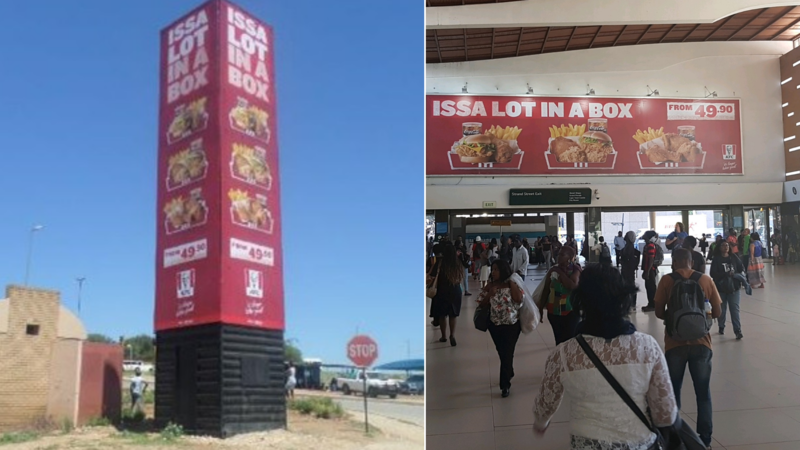 Only 13% of consumers stick to a pre-determined purchase list, while 72% can be swayed towards a product by recently viewed OOH advertising, making this type of exposure highly influential. Research also shows that most commuters make a purchase within five minutes of getting off a taxi – providing clients with a perfect opportunity to expose their brand and product. 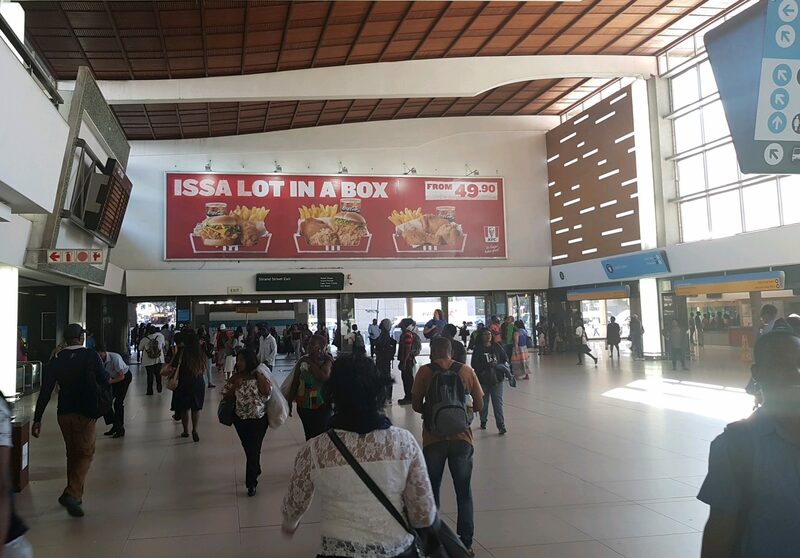 Advertising within the transit environment offers an effective solution for targeting and communicating with the economically active emerging market. There has been an increase over the years in the number of retail outlets and entrepreneurial retail opportunities, both in the taxi and train station environment, so too have the opportunities for brands. This said, brands need to be all the more attentive to their advertising strategy because there are many more competitors vying for attention than in previous years. This is where a 360-degree campaign comes into play. Effective marketing is not about bombarding the consumer in numerous ways, but about understanding – with an ear to the ground approach – the landscape in which we find our client’s target market. Transit Ads™ does extensive and continuous research on placement of platforms so that audiences are reached effectively. This research directs the touchpoint placement in terms of geographic footprint and high dwell areas. This is particularly relevant in areas such as Johannesburg, where there is extensive media clutter, and in Cape Town, where there are tight media restrictions. Within these environments placement ensures that the frequency of exposure is at its maximum at all high-traffic times. At Transit Ads™, we use a scientific approach known as Environment Media Mapping (EMM) which clearly defines the best times and locations at which to engage the consumer. 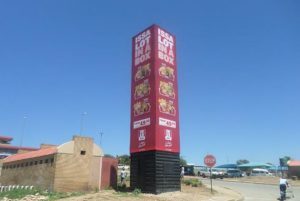 This process ensures that all offerings – Transit.TV screens, taxi branding, train station branding, taxi branding, rank branding, BRT bus branding, activations – provide the best visibility, maximum impact and most effective engagement with the consumer for the client. As consumers become increasingly out of home, advertisers are assured of an attentive audience. In a transit environment, when these consumers are standing in a queue or waiting for their train to arrive, they use this time to get information, whether they’re conscious of it or not. They check messages on their phone and look around. Because Transit Ads Platforms are strategically located to target consumers when they are in this frame of mind, they draw attention. Why? Messaging and creative is large, highly visual and attracts attention. Transit TV screens flight information and news, interspersed with advertisements that are relevant to this audience, while activations offer another touchpoint to engage these consumers on their transit journey. This influences purchasing decision and impulse buying, especially because stops along the commuter journey are in close proximity to retail. The operational structure within Transit Ads™ ensures that the quality of exposure is always excellent. Strict quality control measures are fundamental in enabling Transit Ads™ to deliver a service which is measurable, effective and relevant. There is consistent and continuous measurement of all platforms to ensure consistent effectiveness and high standard of product and exposure.